We offer our private and corporate clients advice on all aspects of residential and commercial conveyancing transactions and property law from our Wilmslow offices. Additionally we're also pleased to announce the growth of our Family Law department which is able to advise on mediation and divorce matters. Covering the whole of Manchester we are able to support our clients in the Wilmslow, Congleton, Stockport, Knutsford and South Manchester areas. As an additional service we provide technical and management training to the legal profession as part of the Law Society's Continuing Professional Development (CPD) programme. By going beyond a clients expectations we retain our existing clients and further grow as a conveyancing business and legal service provider. In essence we do what we say we will do, take pride in our work and invest in our people to maximise their true potential. It's relevant in all professions, but more so as a solicitor, that the key to our success is really good communication. Making sure that everyone involved in a transaction understands the process and the advice we provide. We insist on plain speaking, crystal clear documents and no jargon. The more you deal with us the more you'll understand that this approach comes straight from the top ! For an initial consultation please call on Wilmslow 01625 522 429, or email or complete the form on the right and we'll call you back. Residential Conveyancing Commercial Conveyancing CPD Training Wills & Probate Other. Capable, Knowledgeable, Experienced, Quick Conveyancing and Wills & Probate Solicitors. We've built our reputation on a solid track record of success and customer satisfaction in the South Manchester and Wilmslow areas. Call, email or complete the Enquiry form today ! Further to a ruling by the Supreme Court that made taking children from school during term time illegal, one million children were taken on holidays mid term. 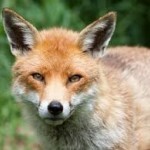 Cheshire's Police Commissioner has urged the Government to rethink it's position on fox hunting and has commented that the current law represents "challenges to investigators and prosecutors". David Keane commented that it was difficult to secure sufficient evidence for convictions. 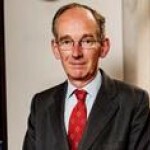 The most senior family judge in England and Wales has warned, that courts and family solicitors may have to exceed time limits and 'cut corners to prevent burnout from dealing with 'sustained, remorseless and relentless' pressure. Speak to our experienced conveyancing team today for a quote if you want to buy, sell or remortgage a property in #Wilmslow. If you're looking for an experienced property solicitor in the #Wilmslow area, we can provide you with a fixed fee conveyancing quotation. If you need help registering the death of a loved one in #Wilmslow, our Probate team can assist you with the legal work.